Nine Foot Road, in White Clay Creek State Park in Mill Creek Hundred. The road was constructed in 1928, and is the last survivor of paved roads funded by the state highway department between 1928 and 1933. The road was named for the nine-foot wide concrete surface, which was meant for cars with tires made of rubber. The gravel shoulder was meant for cars with metal wheels. 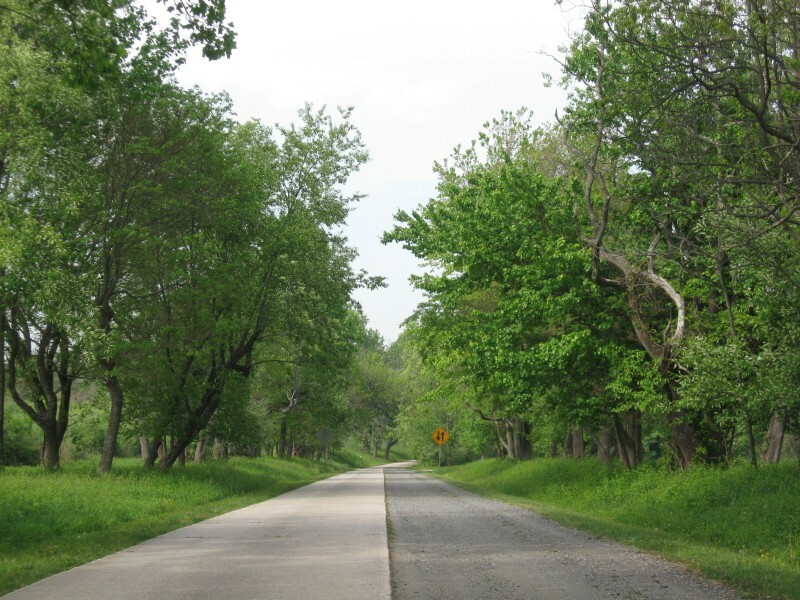 The road is a rare remnant of what country roads in Delaware were originally like, and the park itself was preserved when plans for a reservoir were scrapped. Photo by xzmattzx.